Barton Lodge is a rare and unique example of a sandstone house located in the rural community of South Winsloe. 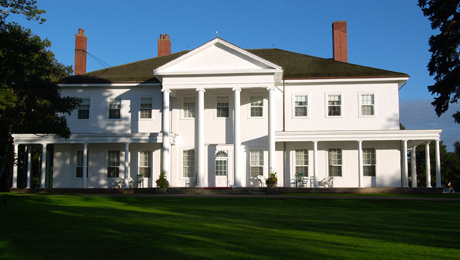 Built in 1844 in the Classical Revival style, Barton Lodge is valued for its rare sandstone construction, for its connection with important Prince Edward Island architect, Isaac Smith (1793-1856), and as a landmark in the community of South Winsloe. 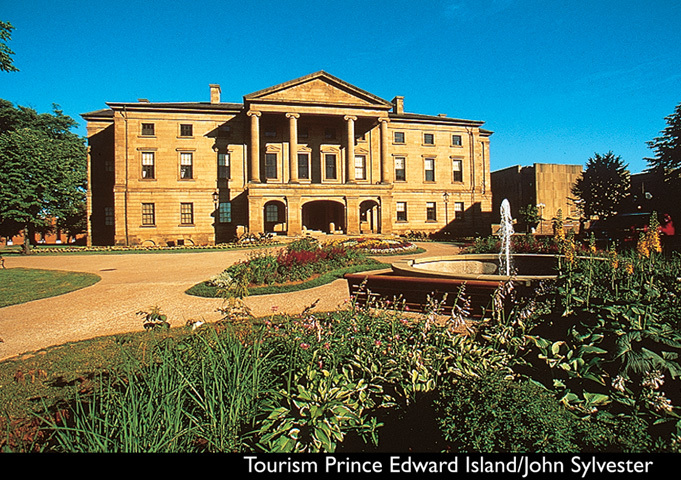 Isaac Smith emigrated to PEI in 1817 and was a renowned architect of his day. 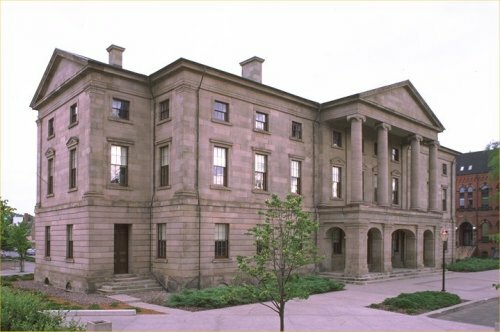 In addition to Barton Lodge, Smith designed Province House and Fanningbank or Government House in Charlottetown, as well as Point Prim Lighthouse. 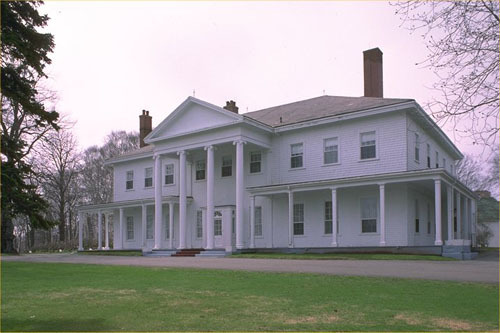 Barton Lodge was built for merchant and contractor Edward Buxton (1806-1859) and his wife Susanna Champness/Champneys who emigrated to PEI in 1826 from Berkshire, England. Buxton must have been a man of some means to have commissioned a large house from one of the leading architects of the day. In 1847, however, the house and some 350 acres of land was advertized for sale, possibly indicating a reversal in Buxton's circumstances. The house did not sell at that time as Susannah Buxton died here in 1859. Edward Buxton, Junior was among a number of Prince Edward Island passengers who sailed to California in 1849 on the ship "Fanny", lured by the Gold Rush. 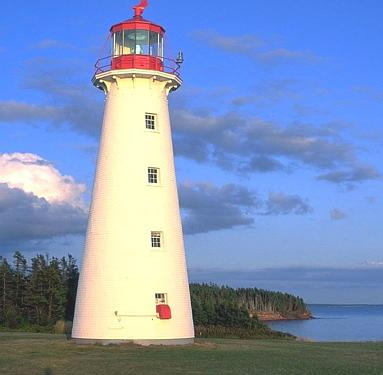 Buxton later returned to Prince Edward Island. Barton Lodge is built in the Classical Revival style and features three tall windows on the south elevation. Originally there were probably four identical windows, however, one has been converted to an entrance. The windows are notable for the lintels on top and the decorated stones along each side. The markings on the side stones are very rare and are not found on any other Prince Edward Island sandstone structure. The south-east and south-west corners of the house feature fancy cut stones. Additionally, the half-round windows on the second storey of the east and west elevations are a unique feature of this house. Several changes have been made to the exterior of the building. Approximately 1880, the back wing of the house, which is thought to have consisted of six or seven rooms, was removed from the north elevation, which is now wood-shingled. Early accounts of the building indicate that the cellar was large enough to drive into. An east porch wing was added around 1950 and a west porch was added around 1970. The original front portico was changed in circa 1960 and was removed about 1970.